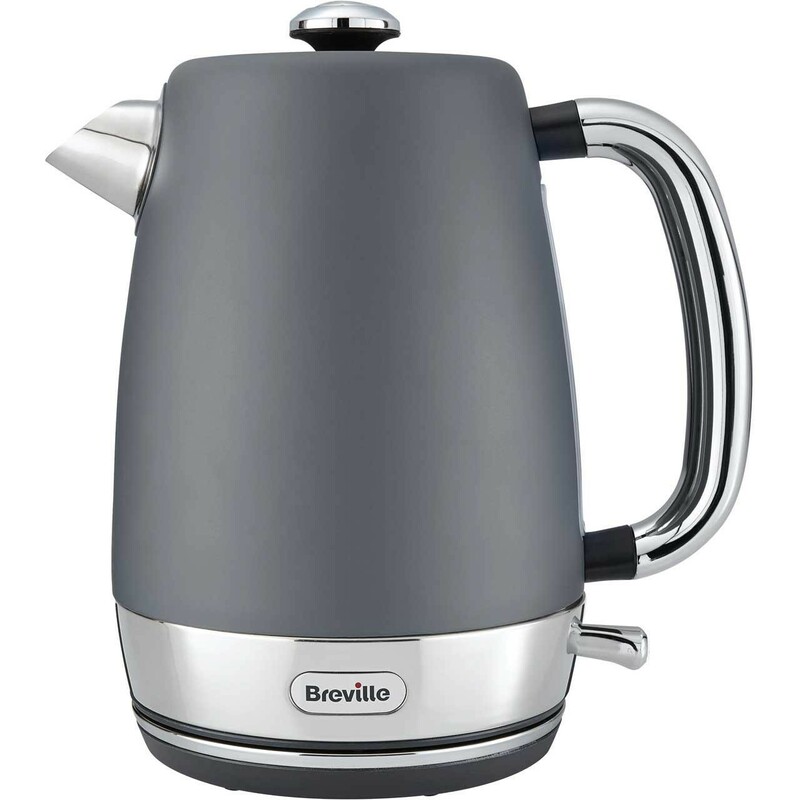 The Breville VKJ994 Jug Kettle 1.7 Litre Rapid Boil in matt grey is the ideal kitchen appliance that will help you have a steaming hot drink on them cold winter nights or to help you wake up in the morning. The rapid boil feature is due to its 3000W power ensuring that the water is boiled quickly and effortlessly allowing you more time to socialise when your friends are round and the large 1.7 litre water capacity will ensure that they all receive a hot drink at once. The boil dry protection is a great feature that stops the kettle from getting damaged by automatically turning itself off when the water becomes too low during the boiling process and the limescale filter ensures that no scale gets into your perfect cuppa. The 360 degree base makes this kettle great for both left and right handed people and the clear viewing window allows you to see how much water is inside the kettle easily.